Pat Flynn: Hey, what’s up everybody? Pat Flynn here and welcome to Episode 841 of AskPat. Thank you so much for joining me today. As always, I’m here to help you by answering your online business questions, five days a week. We have an awesome question today from Chris, but before we get to that I want to let you know about today’s sponsor, which is Vistaprint. You may have heard them before, I’ve used them several different times, both for business things, and personal things. They allow you to custom design anything from business cards, to post cards, fliers, banners, apparel, invitations at whatever level design or order support that you need. They have great customer service, design services, and what’s really cool is they are offering you 500 custom business cards for $9.99, which is a 50% savings off their regular site pricing. If you’re just starting your business and you’re at the point at which you are ready for business cards, here’s what you do. Number one, visit Vistaprint.com. Number two, design your business cards. Number three, enter my code, “Pat,” P-A-T, at checkout to get 500 cards for only $9.99. Go there, Vistaprint.com, enter code “Pat.” All right, now here’s today’s question from Chris. Chris: Hi Pat, my question is, should I look at hosting my podcast on my own website? I have a virtual dedicated server, and I have unlimited data transfer bandwidth. It’s not an issue of not being able to transfer the data that would increase my hosting costs, and I also have lots of space to be able to store many, many episodes before I’ll get anywhere close to hitting my space capacity on the server. I just wanted to see your thoughts, and if that would be a good idea to do that, then I wouldn’t have to pay for a podcast hosting service and I could save that money to spend on something else. Thanks. Pat Flynn: Hey Chris, thank you so much for this question. Actually, this is a very common question for beginning podcasters, because it’s true. You have a host already with your website, you might as well put your audio on there, right? Well, wrong. I would not recommend doing that for a number of different reasons. For one, you will not be able to easily keep track of your stats from your podcast. It’s really important to understand what’s going on analytically with your show to know whether or not people, a) are listening. But b) that your listenership is growing, or not growing. Then you can take action from there. That’s the first thing. Secondly, once you start to build a huge bank of shows, even if it’s like 15 shows. Imagine, people aren’t listening to just the latest episode. People are listening to all of them at the same time. If you truly want your podcast to grow, and expand in the way that it should, and be safe without worrying about your website also breaking down at the same time because your podcast gets so popular. Well, I would plan ahead and actually get something like, for example, Libsyn, or BuzzSprout. Those are both the top recommend hosting providers that I would offer, and they’re very cheap. I mean five bucks a month to start with Libsyn, or 15 depending on how many episodes you offer. Again, you are investing in your business, and you want to start in a way that’s going to allow you to grow. No, you’re not going to get the top package right now, you don’t need that. You need some host out there that can serve your show, and do it well for you, and allow you to keep track of the stats. But also one that’s reliable, because if your website is down, well then that would mean if you did it the way you were initially talking about Chris, well then your podcast is going to be down too. That’s not cool, because, well, for one, one could break the other, right? Then both of them become something that’s a mess, and down. But also at the same time, if one of them breaks, the other one is still up. I remember in March of 2013, I was in San Francisco and I got a call from my friend telling me that my website was down. Not only my website, but all the other websites hosted on the same server. This was not Blue Host, this was actually the virtual private server that I was on. Then my podcast was still up and running, and still able to build relationships, and it was still providing value to people. Actually, another important component of that time was my email list, which enabled me to still tell people what was going on, and to still drive people toward my YouTube videos, and also drive people toward my podcasts. Yes, please have your hosting package for your show separate than the hosting for your website. That is how it should be done, and Libsyn or Buzz Sprout are the way to go. If you do end up going with Libsyn you can use the code, I believe it’s “Pat,” P-A-T. To get, I think the first month for free. There you go. Chris, thank you so much for the question, I appreciate you. I want to send you an AskPat t-shirt for having your question featured here on the show. For everybody else out there listening, if you have a question that you’d like potentially featured here on the show as well, just head on over to AskPat.com and you can ask right there on that page. Thank you so much, I appreciate you. Here is a quote to finish off this episode of AskPat from Thomas A. Edison. That quote is, “Everything comes to him who hustles, while he waits.” Are you just waiting around for that success, or are you actually hustling while you’re waiting? All right guys, take care, and I’ll see you in the next episode. Bye now. Today’s question comes from Chris, who has a question about hosting his podcast on his website. Should he host his podcast on his website? What are the pros and cons of using his website for podcast hosting? In this episode I mention Libsyn (use the code “Pat” to get your first month free) and Buzzsprout, podcast hosting providers you can start with. Learn more at Libsyn.com or Buzzsprout.com. Do you have a question about podcast hosting? Record it at AskPat.com.  The sponsor for this episode is Vistaprint, an excellent resource for your business marketing needs. As a special to AskPat listeners, get 500 custom business cards for just $9.99 (50 percent savings!). Be sure to enter “Pat” at checkout. Learn more at Vistaprint.com. Affordable, custom marketing materials for your business. Use the coupon code "PAT" for a special offer.